Jesus did not promise us a care free life when we accepted Him as our Saviour, in fact I know there is Scripture that tells us there will be times of trial in our lives. If someone becomes a Christian because they think their life is going to be a bowl full of cherries then they are sorely mistaken – Peter is talking to us in these Scriptures about how to handle the wrong done to us as well as how to effectively spread the Gospel to others. One of the things that really stood out was how to be an effective witness. I’ve never felt free to share my faith – I have friends that do it – but not me. I’ve been asked in a grocery store by a stranger before if I was ready to meet Christ. My first thought wasn’t that he wanted to evangelize but that he was looking to kill someone and wanted to make sure that someone was a Christian. I will be the first to admit that I am a conspiracy theorist. Anyway, after I walked away, obviously very much alive I realized he was wanting to witness. I grew up in a church where you didn’t talk about your faith, oh, it was okay in church but out of church you blended in the with the world as long as you weren’t going to movies or playing cards. So witnessing and giving testimony isn’t something I’ve grown up around. As I’ve gotten older and visited other churches – can I just say how much I love the way Pentecostals are so vibrant and alive when it comes to witnessing and sharing testimonies? I know they aren’t the only ones but so far they are the only church I’ve visited that come alive with the Holy Spirit. I still find it hard to witness and share my testimony publicly? Well….I just don’t know, even though my past is forgiven and washed clean there are those who would still feel free to pass judgement on me. So when I think of a woman who can easily witness to others about Christ – I think of someone who is outgoing and doesn’t mind what others think of them. She is dressed modestly and speaks with a loving, calm voice but her Faith comes through loud and clear. I am not that woman. I know I should be. I know I could be. Maybe this goes to my post yesterday about being authentic – maybe a part of being authentic is getting out there and sharing the Gospel? **I am participating in the I Peter blog tour and I was provided a copy of the Inductive Bible Study in exchange for posting about my experiences with the study for nine weeks, no other compensation was given. Picture from The Critical Thinking, Co. I really enjoy Critical Thinking Co.’s products – they don’t just allow passive learning or rote memorization – their products make the child think and actually solve the issue and this is true for their newest product called Editor in Chief Beginning 1. All children need a good, strong foundation in spelling, grammar, and punctuation – so that their ideas are able to be formed in writing and their ideas are understood – but most programs are boring and the children don’t learn much, enter Editor In Chief. Working on this one to two times a week would allow for a good basic foundation for spelling, grammar, and other language assets. Depending on how you do the lessons and figure in the reviews, which follow after every two lessons, and a comprehensive review after every four lessons completed this would cover 16 weeks of class work. Each lesson is followed by six paragraphs in which the child has to find the mistakes – the child will know how many mistakes need to be found by the number of circles to the right of the paragraph. For example if the child is doing the review for 5, 6, 7 and 8 it would tell the child there are 2 singular/plural mistakes, 1 contraction mistake, 1 noun/pronoun mistake and 1 Am/Is/Are mistake. This allows for self checking in the independent student and also makes checking the work faster for the parent and or teacher. There is a teacher’s answer key at the back with in depth explanations as to how the answer is achieved. Teachers and parents are also given permission to make 35 copies per year for their classes or children – which helps to cut down on the cost of purchasing a book for each student. The pages are perforated for easy removal if you chose to make copies of the pages. I really like these for our home school in that I can just copy the pages needed and have my child independently read the lesson and do the pages, freeing me to help my other children with work, and then going over it together. You can find sample pages at The Critical Thinking, Co. website or purchase it for $14.99 . Editor In Chief Beginning 1 is geared for grades 2 to 3 and there are other ones for grades 3 through 12 as well as the software version of this great language arts curriculum. If you’re looking for a simple but fun way to ensure children learn what they need to know for language arts then this is a great way to do it and it’s affordable! **I was provided a copy of this workbook from The Critical Thinking Co. in exchange for posting my honest opinion, no other compensation was given. Robin Marsh is an Emmy nominated and national award-winning journalist. She anchors the weekday morning newscast at KWTV-News9, the CBS affiliate in Oklahoma City. 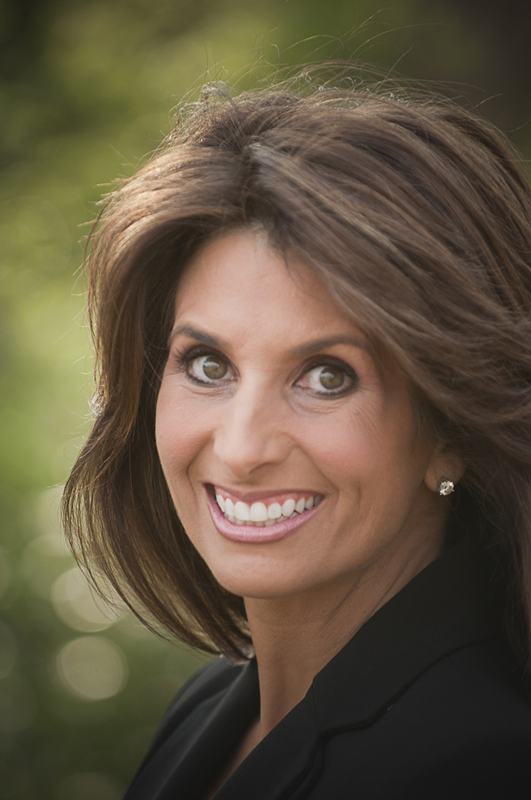 Robin uses her influence from television as a way to share with women and girls about the love of Jesus at retreats for women, students, and churches. She was honored as a “Woman of Distinction” by Girl Scouts of the USA. Lauren Nelson was crowned Miss America 2007. She received the prestigious TOYA award (Ten Outstanding Young Americans) by the United States Junior Chamber Organization in 2008. Lauren serves many charities including Children’s Miracle Network. She is a co-anchor at KWTV-News9, the CBS affiliate in Oklahoma City. Lauren loves teaching Bible studies and leading worship with her husband. 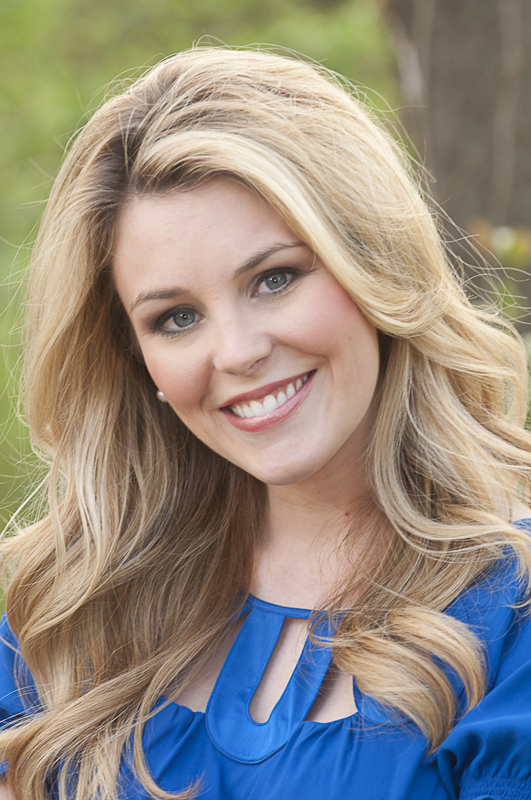 Miss America 2007, Lauren Nelson, and award-winning TV news anchor Robin Marsh share a passion to encourage teen girls. In this relevant, engaging devotional they show the cell phone generation of girls why accepting God’s call is the best decision they’ll ever make. A cleverly presented, timely look at God’s help for the needs young women face today. Perfect for individual faith growth and as group discussion and study material. God’s Text: “Let no one deceive you with empty words, for because of such things God’s wrath comes on those who are disobedient. Therefore do not be partners with them” (Ephesians 5:6-7). Face it, girl. In today’s culture there’s a lot of pressure to find the perfect guy, have the perfect friends, and look like a celebrity at a photo shoot. It’s easy to get a skewed vision about what is good and what is not so good. So how do you respond when someone warns you about the friends you’ve surrounded yourself with? Do you cover your ears? It’s natural to want to believe the best about people, but God’s Word reminds you to consistently be on guard in the area of relationships. If someone raises a red flag, even if it’s your mom, pray and ask the Lord to help you determine if the relationship will help you grow in your spiritual journey or pull you down. Loving someone and being nice to others is always a good thing, but the people you choose as close friends and as a boyfriend will affect your future. Today’s App: Do you have a gut feeling that suggests you need to be cautious in a particular friendship? Do your friends make you a better person? Don’t risk being involved in bad relationships. Be satisfied and secure in the relationship you have with your heavenly Father, and ask Him to give you the strength needed to make the right choices. 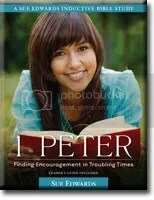 While I haven’t read through the whole devotional, I’ve liked what I’ve seen so far in this devotional for teen girls. In today’s world making the Word of God relevant to our girls are of the utmost importance – and if using the word app to make it relevant then I’m all for it. 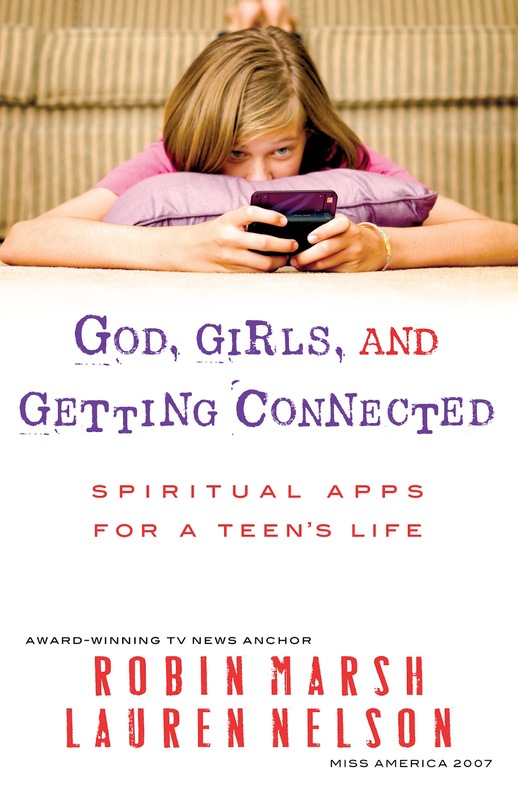 As a mom of two girls who are very aware of the technology today this is a great devotional, even if not all of it is relevant to them as homeschoolers, like bullies or mean girls, they will encounter these things at some point as we become involved in outside activities. Having this devotional that relates God’s Word back to their every day lives is a great thing! A fellow blogger has come up with a new meme to blog through the alphabet for the next 26 weeks, so I’m going to try to do this once a week. If you’d like to join in just click on that cute little button up there and join in! I had trouble coming up with an A word – something the describes me, my life, my family – you get the idea. I thought Aunt, but then again no. I thought about our science curriculum but someone else has already raved about it 🙂 so then the word Authentic popped in my head. Is it a God thing? I don’t know but I doubt if I would have thought about that word without Him. Authentic seems so boring, so bland and how do you blog about being authentic? So in being authentic I want to be real, I don’t want to be false. I don’t want to be an imitation. How does one do this? How does one be authentic in a world where fake is in? So in the KJV the word authenticity is stated as sincerity and in 2 Timothy it’s unfeigned. I want an authentic faith. I don’t want a church’s doctrine. I don’t want a church’s rule. I want a faith that lives in me and shines out to others. When my children think back on me I want them thinking of me like Eunice and when my grandchildren think of me I want them to be reminded of Lois. Two women with authentic faith. Giving their lives for their Lord, for my Lord. I’m going to hit my knees and cry out to Jehovah. I’m going to smile when the days are good and laugh and hit my knees in praise of the Lord who gives me a reason to live. Snow Angel was born on a frosty night in an old farmhouse in Fishers, Indiana, where the cold floor gave plenty of motivation for the snow scene. Jamie loves to write late at night when the house is quiet and the darkness seems alive. Elizabeth and Noah had been playacting in herhead for a long time, so the story went fast. This book blew my socks off! 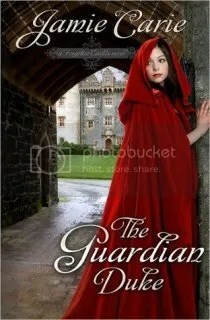 I had a hard time putting this down and I read it through with few stops in a day, I’ve never read Jamie Carie’s books before but that is going to change after reading The Guardian Duke. I’ve also never been one to get into the Regency genre but again I’m rethinking that – this book had me enraptured from the first page and as such I’m already on the edge of my seat and looking forward to the second in the series because I just have to know what happens to Duke Gabriel and Lady Alexandria and her missing parents. While this is a romance the two are kept apart by Alexandria’s strong will on no fault of the Duke who is pursuing her regardless of the costs. The ties that bind child to parents even with abandonment are so strong that no fear of death could keep a daughter from searching and even though he’s never set eyes on her the written word tells the Duke what he wants in a wife. Without giving away the plot or the story – the twists, the turns, the excitement will have you swept up in the pages of the story making the moors and old abandoned monasteries come alive. You must be 18 year or older. A resident of the U.S. One entry per household only. Void where prohibited. You must leave an email in your entry – if I cannot contact you I will chose another winner. Winner will be randomly selected by a random process decided upon by me on Monday, March 12th, 2012 at noon EST The first entry is mandatory. Tell me one reason you’d like to win this book. Do you like Regency? Christian romance? Again, make sure to leave an email – if I can’t contact you – you can’t win! 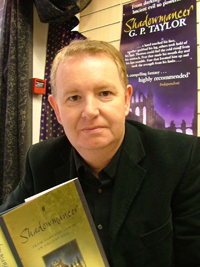 GP Taylor is the New York Times best selling author of such young adult novels as Shadowmancer, Wormwood, and The Tizzle Sisters. He resides in England on the banks of a river in the midst of a dark wood, an arrow’s flight from the Prince Regent Hotel. Paula K. Parker is a U.S.-based playwright and author whose works include stage adaptations of the Jane Austen classics, Pride & Prejudice, Sense & Sensibility, and Emma. YESHUA: The Vine, The Demon & The Traitor, the sequel to “YHWH,” is scheduled for release in the spring of 2012. YHWH is a collection of 20 Old Testament stories, re-told for the Harry Potter generation. In a world where Children are probably more familiar with Harry Potter than Jesus, it’s often hard to encourage them to read the Bible in its traditional form. YHWH introduces the wonderful Bible stories to them in a way that captures their imagination YHWH is based on the scripture but adds description and other allegory to make the stories come alive. The project is supported by Walk Through the Bible Ministries who teach the Bible to over 40,000 school children each year. It could be used by Christians as a tool for evangelism and would be ideal as a gift for children and young people unfamiliar with the classic Bible narratives. In the early light of morning, by the Tigris River that ran through the valley of Gan-Eden, a long, black serpent slithered in and out of the eucalyptus trees. The creature was followed at a distance by a small and fearful rat. Wherever the snake went, so the rat followed, but always far enough away so the bright white teeth that were hidden in the snake’s mouth could not strike it. The cobra cared for nothing but itself. It neither ate nor slept, but just slid through the undergrowth as it sought a place to hide from the sun. The serpent raised itself up and puffed out its hood, then stopped and tasted the air as it flickered its blood-red tongue. Every creature in the garden sensed the advent of death and all was silent. Sensing warmth nearby, the snake edged closer to the body of a man that lay as if unconscious in the clearing of the forest. As the first rays of sunlight broke against the tall trees, the snake sniffed the face of the bearded creature. He smelled different from any other beast of the forest. It was then, with no human eye to see, that the snake began to slowly transform. Inch by inch, the scales of the creature quickly disintegrated and took the form of pure, white skin. As if it were being peeled, the snake changed in appearance. Its head grew and took on the countenance of a man. As the snakeskin peeled back, the rest of the body emerged. It was distinctly human, the only trace of what had been the cobra were the slitted eyes and two sharp fangs that edged his ruby lips. Soon, the snake was no more. Its transformation was complete. The creature was angelic, tall, with long thin fingers. Waves of white hair were brushed back to reveal a chiselled face – the beauty of which no one on earth had ever seen. ‘Wormwood … do you always have to stay in that form?’ the creature asked the rat as it crawled over the stump of an old tree and looked up at him. ‘HE … might not see me like this. I feel safe if HE can’t see me.’ The rat replied, as it brushed its face with clawed hands that looked quite human. ‘HE sees everything. There is nothing in the universe that HE can’t see.’ The man replied angrily. ‘But Lucifer, HE was your friend and master,’ the rat answered without thinking. Lucifer pointed to the body of a woman who lay on the ground in a deep sleep. She was covered in eucalyptus leaves, her long black hair trailing in ringlets across her dark skin. Lucifer looked at Marah. He traced his finger along Marah’s naked skin and dug the nail into his flesh until he came to a long wound in his side. ‘Not yet,’ Lucifer answered. ‘I think that here will be a fine place to wage our war on the Creator. If HE has one weakness, it is compassion. If I were King of Heaven, I would not have allowed us to live. All HE did was cast us down to this place. Even with our rebellion, He showed kindness. How foolish is HE?’ Lucifer asked the rat. Wormwood did not speak. He stared at the woman and watched her breathing. Lucifer reached out and touched her face. ‘What will we do with them?’ Wormwood asked. ‘There will be time; after all, we have all eternity,’ Lucifer answered quickly as he heard footsteps in the forest. Suddenly changing back to the shape of the serpent, Lucifer slithered quickly into the undergrowth. Wormwood darted to the cover of the trees. Marah’s eyes shifted under closed lids and gradually opened; without turning his head, he looked around, taking in the sights, sounds, and smells of Gan-Eden. Yawning he stretched, extending his arms, and touched … something. He turned to see a figure sleeping on the ground. It was like him … but it wasn’t. Marah rose to his knees to inspect the sleeping woman. He brushed away the leaves that covered her body. Her skin was soft as a butterfly’s wings and thick dark lashes brushed cheeks the colour of peaches. Hair the shade of a raven’s wing flowed from her head, covering her to her thighs. Her lids fluttered and then opened. The eyes inspecting him were almond-shaped, their colour reflecting the grass beneath her. She looked at Marah curiously and reached to touch his face. She laughed; the sound was as light and fresh as the mist that arose each morning. Taking her hand, Marah helped the woman to stand. Wife, he thought. A companion and a helper. Like me, but not like me. Her brow wrinkled, as if not understanding. ‘Marah,’ she spoke as if tasting the word. ‘That is good,’ the voice of the Creator echoed through the trees. Havva looked around for the source of the voice and then looked at Marah, her brow furrowed in question. ‘That is the Creator,’ Marah said. Havva looked at him and smiled. It was as if she knew all of what Marah spoke. ‘The Creator is good,’ Havva answered. ‘Water,’ she laughed and jumped, gasping as the cold water hit her skin and filled her mouth and nose. He held her hand as they waded through the water. Fish darted between the man and woman, tickling their legs and feet with brightly coloured fins. Marah showed Havva how to drink the water with cupped hands and wiped her dripping lips. Then they left the river and walked to a nearby tree. Plucking fruit from a laden bough, Marah handed one to Havva. ‘Peach,’ he bit into the ripe flesh, juice spurting and dripping to his chest. ‘Mmmm …’ he nodded. She bit into her peach; her eyes widened at her first taste of food. She nodded and laughed as the juice ran down her chin. After eating several more peaches, they plunged back into the river to wash their skin and then laid down on the bank to rest in the sunlight. As the sun slipped down the sky, changing from golden to orange, to disappear beyond the horizon, Marah led Havva to a spot beneath a massive oak. He showed her how to pull up armfuls of tall blades of grass and lay them on top of each other. When the pile of grass reached their knees, Marah sat down and reached up to pull Havva down next to him. He lay on his back, with his hands cushioning his head. After a moment, Havva lay next to him and placed her head on his chest. As the sky darkened the moon arose, creamy and full, and stars scattered like diamonds across the expanse. The man and woman’s breathing slowed and before they fell asleep, they heard, ‘That is very good,’ whispered across the night sky. Through the days that followed, Marah showed Havva the length and breadth of Gan-Eden. As they wandered, they tended the plants. Marah showed Havva how to use a sharp stone to cut the pips and seeds from the fruit they ate; they stuck the seeds in the ground. ‘From these, the Creator will make more grow.’ They would climb the trees to toss down fruit for the animals that couldn’t reach it. And in the evening, the Creator would come. Not that they saw the Creator; they felt His presence as the sun warmed their skin and heard His voice whispering through the sky. They would talk about all they had done and the Creator would instruct them about the needs of the animals and plants in Gan-Eden. One golden day when the warm wind blew in from the west, Marah and Havva followed the bank of the Tigris to where it met with the Euphrates to form the Great River. The waters rolled and cascaded, frothing over rocks. On the bank of the river, stood two trees. Both were gigantic, taller than any other tree in Gan-Eden and laden with ripe fruit, filling the air with spicy sweetness. As they looked across the waters, the Creator spoke. The voice echoed across the sky. As they turned to go, Havva caught sight of an animal she had not met. From a distance, it looked like the branch of a tree it curled around, but its skin glistened like a lizard. ‘Marah, what is that?’ she pointed to the snake as it bowed from the branch. As they walked away, Havva felt an itching sensation between her shoulders. Looking back, she saw the serpent watching her; it looked as though it was smiling. Time passed slowly in Gan-Eden. Havva had grown accustomed to the land. She knew where to find the best pears and apples, when to pick the raspberries and how to choose the ripest tomatoes. All was well. The Creator walked in the land by the river and they listened to His voice as the sun set and the moon rose out of the mountains. One morning, the sunlight streamed into her eyes and woke Havva. She looked over at Marah; he was sleeping on his side, with a large leaf covering his head. She smiled at her husband, who snorted and rubbed his nose, and snuggled into their bed. Havva stood up to gather food for Marah and herself. Wandering, she plucked an apple from a nearby tree; the fruit was sweet and crunchy. She washed the sticky juice from her fingers. She pulled a large leaf from a tree and used it to gather fruit for Marah and herself: more apples, raspberries, dark red cherries, peaches, a small melon. When she came upon the pomegranate tree, she found herself standing near the Great River and the two trees the Creator had told them about. The fruits on both trees were unlike any she had seen before: larger than any Havva had gathered, and their fragrance made her mouth water and filled the glade with its essence. ‘Havva,’ a voice said from deep within the glade. She turned. There, slithering towards her was the serpent. As it neared, she could see that it began to slowly change and stand up on two legs. It looked like Marah – its eyes were tilted slits, the mouth wide. The creature shuddered joyfully. ‘How do you know my name?’ she asked. ‘We all know that Havva and Marah are favoured by the Creator,’ Serpent spoke, hissing out each word. ‘I see you are gathering food,’ it said. ‘Have you come to pick fruit from these trees?’ It walked towards the tree on the left. ‘But not fruit from the tree of the knowledge of good and evil,’ Havva answered. Havva took a step closer to the tree. The fruit was large and plump, its aroma filling her head. She dropped the leaf filled with the fruit she had gathered. None of the fruit I picked looks or smells as good as this, she thought. Surely becoming as wise as the Creator is a good thing. Slowly lifting her hand, she reached up and – hesitantly – touched the nearest fruit. It was firm and ripe; one slight tug and the fruit fell into Havva’s hand. She sniffed it; the aroma was sweet and set her mouth watering. She extended her tongue and licked it. She waited … nothing happened … no death … it tasted like the dawn. She took one bite – then another and another. She consumed the fruit, grabbed another and ate it. Hand over hand, she ate several pieces of fruit, unable to assuage her hunger. ‘Havva!’ shouted another voice. She whirled around, a fruit in one hand and a half-eaten fruit in the other. Marah stared at her, stared at her hands. ‘What have you done?’ he whispered. Marah stared at his wife … opened his mouth … and took a bite. The ground was soon littered with fruit, some eaten, some just bitten into. Other fruit was just thrown to the ground and smashed underfoot in their haste to grab more. No matter how many they ate, their hunger remained. ‘What do you mean?’ Marah asked, his mouth full of fruit. Running to the river, Havva retched as she coughed up the half-eaten fruit of the tree of the knowledge of good and evil. It twisted her guts and stuck in her throat as she retched and retched. Again and again she tried to rid herself of the pain in her stomach and her heart. She was distantly aware of Marah kneeling next to her. She heard his cries of anguish and pain as he emptied his stomach of the fruit. Reaching out, she pulled a leaf from a nearby bush and wiped her mouth. Not enough. She grabbed another and, opening her mouth, wiped her tongue. Still not enough. Pulling leaf after leaf, the man and woman tried to clean the feeling from their mouths, their bellies, their hearts. Shivering, Havva took fig leaves and knotted the ends, until she had formed a covering for herself. Noticing that Marah was also trembling, she formed a covering for Marah. They looked at each other, hearts pounding. ‘He will see us … He will know.’ Havva said. Turning, she ran down the path, stumbling over rocks and stumps, scratching her legs on bushes, until she found four trees that leaned towards each other. Several small bushes growing at their base formed a small shelter. Dropping to her knees, she crawled inside. A moment later, Marah crawled in beside her. She could hear Marah’s heart beating in fear. Havva looked wide-eyed at Marah, who nodded. The pain in the Creator’s voice tore at Marah, the knowledge of his disobedience too heavy to confess. Havva’s thoughts were as rapid as her heartbeat. What can I say? How do I explain? The leaves at the door to their shelter began trembling, shivering, as the wind began blowing, howling. The presence of the Creator rose above the earth, His voice swelled to cover all creation. What will He do to us?’ she whispered. A sudden, sharp sound rent the air. It was unlike anything that Marah or Havva had ever heard before. It pierced their ears and tore at their hearts. Marah dropped to his knees to crawl from their hiding place; after a moment, Havva followed. Standing, they looked around. Nothing seemed different about the land … yet it was. There, by a bush, was a slaughtered sheep. Its throat was cut, blood issued from its fleece, mixing with the dust of the earth. The ground under the man and woman’s feet trembled and shook, as the sky grew blinding white. In fear, they watched as a figure descended from the clouds to stand in front of the two trees. It had the shape of a man, with wings like the mighty eagle. His face was terrible to see. In his hand was a flaming sword. The word echoed from one end of Gan-Eden to the other. Fire flashed from the sword; a tree near the humans erupted into flames. Grabbing Havva’s hand, Marah began running, screaming, as first a tree and then a bush exploded before them. They came to the edge of the river where Marah had first showed Havva how to drink and swam across the river, choking on the water that filled their nose and mouth. They crawled out of the water and collapsed on the riverbank, panting. 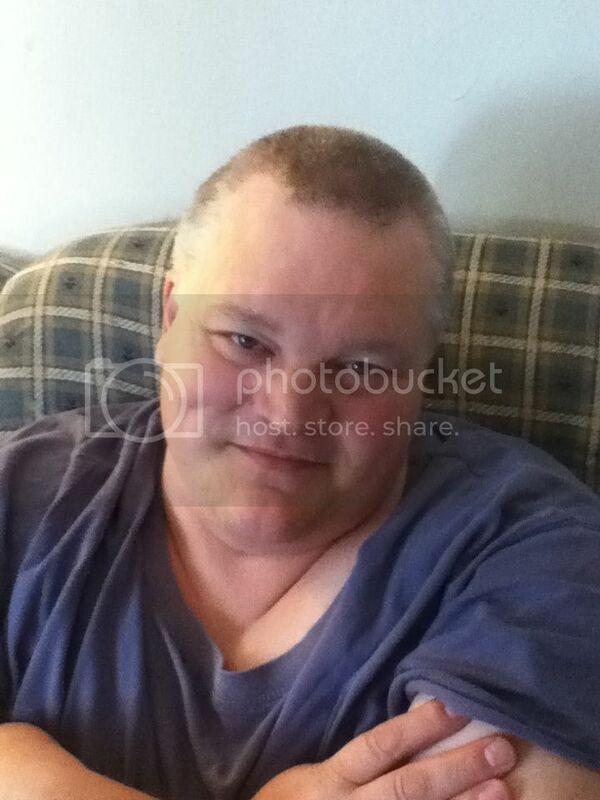 After his heart and breathing had slowed, Marah rolled over and pulled himself to his knees. He looked up and gasped. ‘They’re gone,’ Marah’s voice was ragged. Turning, Havva looked behind them. Across the river, beyond the far bank, was … nothing. There were bushes, forests, and hills; but they were not those of the garden. Arching her neck, Havva looked in one direction and then turned to look in the other. Straining her eyes, she could not see the massive tree of life or the tree of the knowledge of good and evil. They were … gone! Usually I’m not one for retelling of Bible stories, I think as Christians, we should be able to read God’s Word as is and glean from it, so it was with trepidation that I requested and began reading YHWH. Since it’s supposed to be for the generation of children, teens and young adults who read books with magic and witch craft – the Bible, even though it has It’s own scary tellings, is often scoffed by those who can’t ‘relate’ or would be seen as un-cool. I’m not one of these young adults (oh to be young again!) and neither are my children but as I know from being in AWANA with children who are exposed to vampires, witches and the occult I’m not sticking my head in the sand that they do need something that can get them into the Bible. At first, I wasn’t too thrilled with the renaming of Adam and Eve so reading through the story of Creation was a bit hard for me and I kept thinking if this is how the whole book is going to be count me out. I kept reading though, and I have to say I am glad I did. The retellings of all the other stories held my rapt attention (yes sometimes the thous and ye’s can get a bit old, sorry King James) – I finished reading the book in under two days and I’m now trying to convince my oldest daughter to read it. Even if you’re children don’t partake in the popular culture’s books, this book will hold their attention, and it won’t draw them away from the Lord – in fact it may just have them running closer to Him. One word of warning, as it is in the Bible, there are no mincing words if a woman was a prostitute that is what she is called so if your child is younger or an older child who isn’t aware of what a prostitute is then you may want to read it together or tell them what stories to avoid. That’s right I don’t do grades. I’ve been asked and I’m going to go ahead and tell you my opinion. Grades are for the birds. They are stupid (I don’t use this word lightly). I don’t think they show a good representation of what the child knows. Now, I know a lot of people put a lot of stock in grades. My parents did when I was in school. My inlaws did with my husband and his siblings. Public and private school teachers feel they are the be all and end all of a school career. I’m not talking grade level (that is a whole other story with lots of opinions as well) I’m talking grades like in tests, quizzes, homework, writing assignments, etc. My children do take tests and quizzes however they ARE NOT graded – I may do it just to see but they in no way dictate our school, because they don’t show what the children are retaining and learning. Grades stink! I lived in fear of test grades, quiz grades, project grades and the worst – report cards. Fear. I was not a good student – I learned – but when it came to tests I was terrible, but I managed to squeeze by. I didn’t want my children to experience this same fear of grades and missed questions. I’m not running my home school like a mini-public or private school, my school is a place to nurture and bring children up first and foremost for the Lord – not for academic achievement. They will know their 3 R’s but if they never do calculus or physics that’s okay with me as long as they have obtained a living and working relationship with the Lord Jesus Christ. Do I check their work? Yes. Do we correct missed problems? Yes. If they miss a math problem we go over it, and over it, and over it (most days). If they take a test and almost all the problems are wrong – I know their weakness and what we need to work on – if they get the majority of them all right, then stupendous! Do I tell them “hey, you failed!” or “hey, you passed!” No. My children are like me and for whatever reason if they feel like they’ve failed they will do a lot of bad self talk – “I’m stupid”, “I’m dumb”, etc the same thing I did while in school. So either way grades are pointless. 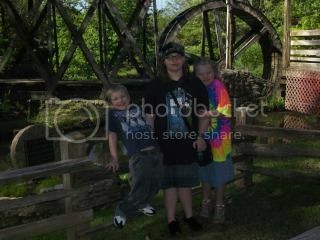 My oldest will be going into, if she were in school, the 5th grade for the 2012-2013 school year – so the years of no grades are coming to end for her. I’ll have to start tracking soon so she can get high school credits and graduate eventually, will it be the everything in our school? Definitely not. I’m considering this year to have her take a standardized test at the local private school. While some would turn these scores into their school district, I’m not. The testing is for me. So I know what we need to focus on in primarily, math. Her reading is above her peers so I’m not worried about that and since we are studying our own science I’m not worried either – if I could have her take just the math portion I would. Even if the test showed she was a genius the school district still wouldn’t get the results. I’ve come up with a final review/exam for our science. There are 50 questions, so 2 points per question for a score of 100 or an A. I’m not doing it to say whether they know everything or not, mainly to see if we need to back track and review more material or if we can go ahead in good conscience to our next science come June. Will there be a grade? Only if one of them request it. Otherwise, they’ll chose their answers, we’ll go over it together and be done. So there you have it. Why I don’t do grades. Jay Payleitner is one of the top freelance Christian radio producers in the United States. He has worked on Josh McDowell Radio, Today’s Father, Jesus Freaks Radio for The Voice of the Martyrs, Project Angel Tree with Chuck Colson, and many others. He’s also a popular speaker at men’s events and the author of the bestselling 52 Things Kids Need from a Dad, 365 Ways to Say “I Love You” to Your Kids and, releasing late 2011, 52 Things Wives Need from a Husband. 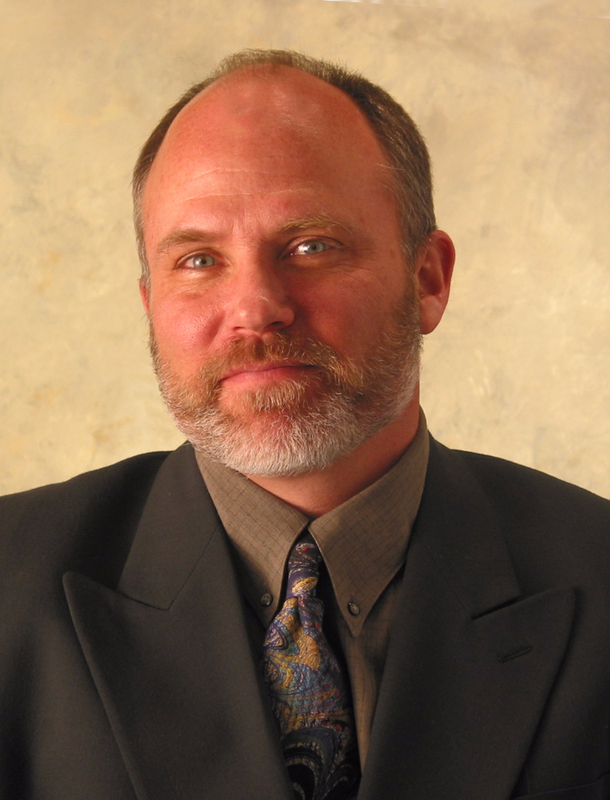 He has also served as an AWANA director, a wrestling coach, and executive director of the Illinois Fatherhood Initiative. Jay and his wife, Rita, make their home in the Chicago area, where they’ve raised five great kids and loved on ten foster babies. 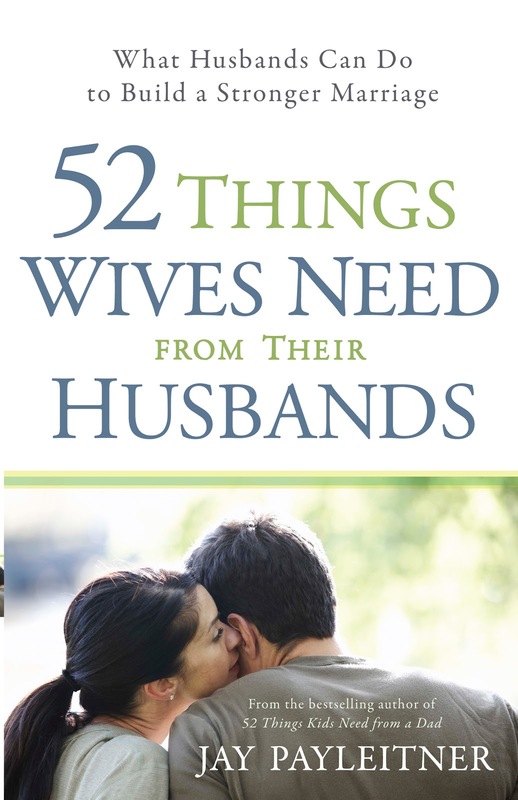 For the husband who wants to live out God’s plan for his marriage, 52 Things Wives Need from Their Husbands provides a full year’s worth of advice that will put him on the right track without making him feel guilty or criticizing him for acting like a man. A great gift or men’s group resource. It’s a story from way before seat-belt laws, but the sentiment still carries a bushel of truth. Men—the good ones like you and me—travel down the road of life with a sense of stability and direction. We’re not out drinking every night. We do our best to bring home a paycheck and be a good father. An affair is not an option. Neither is divorce. Our deepest need is for our bride to sit close to us and tell us—just once in a while—that we’re doing a good job. That we’re appreciated. That they look up to us and need us. Our wives, on the other hand, slide back and forth. Like many women these days, they are getting mixed messages and giving mixed signals. They don’t seem to know what they want. A career or a houseful of babies? A new washer/dryer or a week in Aruba? A bigger house or just bigger closets? Do they want a husband who is sensitive and tender or a tattooed bad boy riding a Harley? While they’re daydreaming about what they want, we’re just two feet away and hoping they’ll ask us for it. We want to fill their every desire. We want to be their shining knight and perfect man. If only they’d slide next to us and tell us what they want. How did we get here? Two feet and two miles apart. Think back to not too long ago. Remember that girl you married? The girl who caught your eye. The girl you couldn’t keep your hands off of. The girl who taught you to love in brand-new ways. Romantic love. Committed love. Crazy love. Eternal love. Silly love. You may be thinking, Where did that girl go? Gentlemen, she’s right there. That girl is inches away. She’s looking down the same road and going the same direction. She’s committed to sharing your life and sharing your bed. By the way, she’s asking the same question. Where did that boy go? Men of courage, follow your impulse. Pull the car over. Look into her eyes, maybe for the first time in a long time. Tell her she means everything to you. Be the boy. Be the girl. Expect no less than to memorize each other’s hopes and dreams. Steam up those car windows. With conversation, of course. You did not marry to live separate lives. While I am not a husband, obviously, I am a wife so I thought it’d be neat to see what a man thought we, ladies need. Honestly, at first I wasn’t sure but he had a lot of information to tell the fellow husbands out there – and yes, most of the 52 things were spot on. I wish my husband would read the book, but the chances of that are slim as books seem to sap his strength like kryptonite does to Superman – but I digress. I’m glad this is on my shelf though in case my husband wants to know some things he could do for me. Name of Product: Tension Tamer and B.A.L.M. I’m tired of having to use big chain stores to find products for moisturizing, headaches and the like that are also loaded with preservatives and ingredients that add to the problem or make something else worse. Welcome to Beeyoutiful, an online store that is full of information on wholesome living as well as products to help promote a natural lifestyle, for all ages, babies to the elderly and all in between. There are an abundance of health related articles and videos on helping all of us learn how to live a more natural life without relying on products that exacerbate the problems. 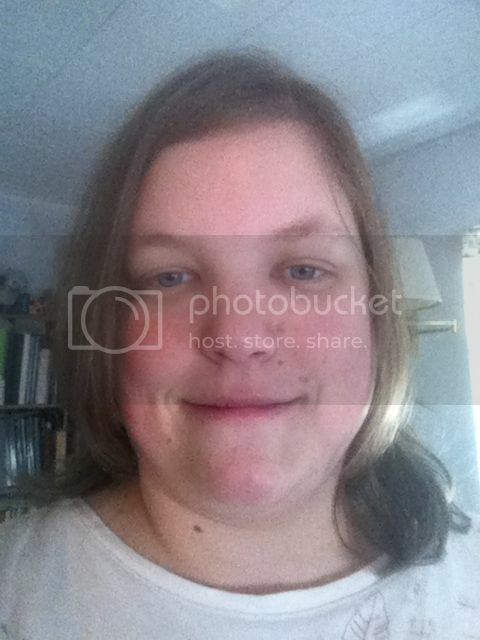 I was given two products to try out from Beeyoutiful and the first is the lip balm. I was provided with the orange scented one, and I must say I wasn’t sure I would like it – I’m very sensitive to smells and citrus scents are usually too strong and overpower me – but I tried it. I liked it! While you can definitely smell the orange scent it wasn’t overpowering, in fact it was very light and almost disappeared when I put it on. I did seem to need to reapply more often than the lip balm I was using prior to this (I use lip balm year round) and if I applied it to frequently it felt somewhat heavy. Even with these minor drawbacks I felt it did a great job in protecting and keep my lips moisturized and it will be a mainstay in my purse from now on. 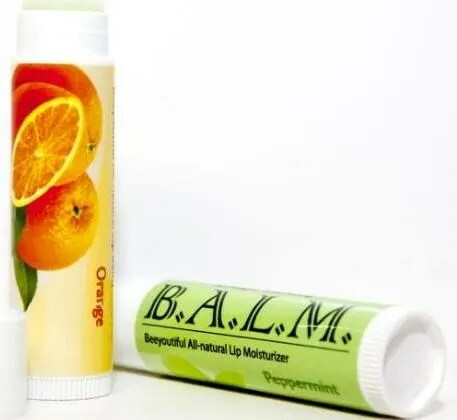 Made with grapeseed oil, shea butter, beeswax and essential oils (either orange or peppermint) the B.A.L.M. is all natural and I like knowing that what is going on my and my children’s lips is a natural ingredient. Next up, is Tension Tamer – this is a neat little product that is easy to carry around in your purse or pocket for those times when life makes you stressed. It comes in a 0.3 fluid ounce container with a rolling ball applicator that you can use to rub on your temples, neck, wrist or nose to help with stress that could lead to headaches. For those who’ve read my blog, many will know that I suffer from migraines, so when I received this product I was very excited, and it now has also found a place in my purse. This has a wintergreen scent but even though I’m sensitive to smells wintergreen doesn’t affect me so this was great and also works as a decongestant. I was not embarrassed to use this out in public since the scent is light enough no one else noticed and the bottle is tiny enough to be discreet. I even used it on my children when they’ve complained of head pain and they enjoy it and the smell as well. Be sure to note though that the bottle needs to be stored upright to keep constant contact with applicator ball and essential oil at a minimum. This little bottle goes a long way as it doesn’t take much. I have to say I’ve been very pleased with these products from Beeyoutiful, and what also garners my appreciation is the fact that since the products are all natural they can be used on children – whose little bodies are more prone to be sensitive to the harsh chemicals in other products. You can browse their extensive online catalog, view their videos like this one on heartburn, or listen to questions posed on Facebook. If you’re looking for natural supplements, probiotics or even just some lotion look no further than Beeyoutiful and if you want to read what other homeschooling parents had to say about other Beeyoutiful products check out the TOS Homeschool Crew blog. **This is a TOS Crew Review. I was provided the B.A.L.M. and Tension Tamer products from Beeyoutiful in exchange for my honest review, no other compensation was provided. 1. What’s your favorite way to spend down time (alone or with a significant other)? My down time comes at night when the children are in bed, so usually hubby and I watch something on Netflix, talk, or he watches a horror movie while I read. 2. Are you the kind of person that wants things more as soon as you know you can’t have it? No, I’ve learned that if I’m not supposed to have it then there is a reason and the Lord knows and is protecting me from something. 3. If you were given $1000 to spend on yourself, what would you buy? On myself? I’d probably get some good sturdy shoes (no high heels or fancy for me, thank you) that support my feet, I’d upgrade my sewing machine, and an iPad (to see how it compares to my wonderful Fire). With the leftovers they’d go to the local CPC or RtL. 4. Do you ever go out to eat by yourself? No, I’d much rather have my children and hubby with me. Who wants to eat alone? Boring! 5. What company would you want to do a blog review for? Oh my goodness! This is a hard one – definitely Bright Ideas Press, Mystery of History and ARTistic Pursuits. After homeschool curriculum I’d have to say I’d jump at the chance to review an iPad.